Ok, all you men out there! 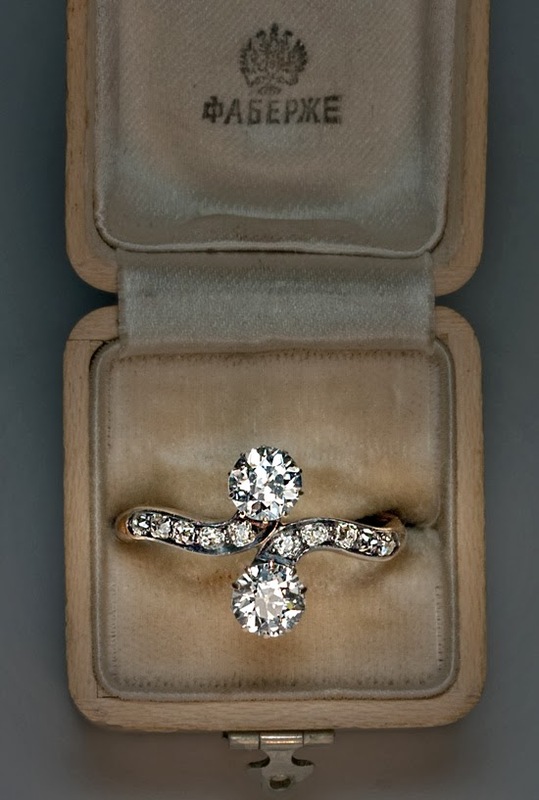 If anyone feels like proposing to me, I have now found the ring I want. 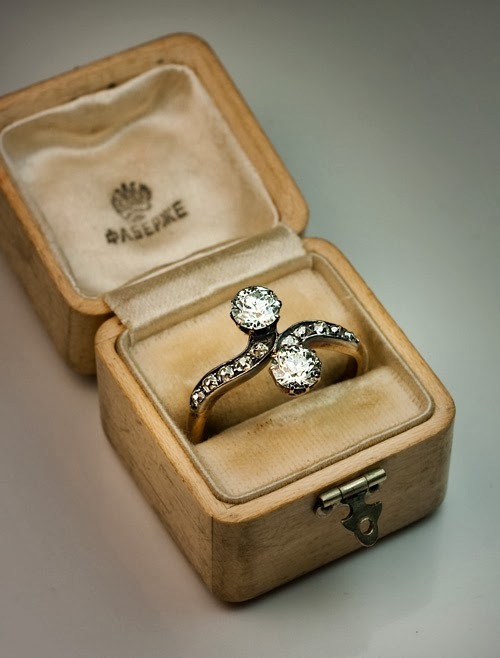 It's from Fabergé's workshop, and was made by assay master Yakov Liapunov, sometime between the years 1899 and 1904. And here it is!